Last week, while Chris was traversing our continent visiting Anchorage and Tacoma, I took our kids to Atlanta to visit family. This is going to sound strange to some of you, but it’s actually fun for homeschooled kids to go to school on their vacation. Not their regular school, but “real school.” In Atlanta, our children put on uniforms and sit in on their age-level classes at the private school my grandparents started in 1948. They get to carry lunch bags, go to P.E. and art class, and have recess with their classes. I get to check and see how their learning matches other children their ages and try to catch any gaps I’ve overlooked. I’ve done this once a year since our oldest was in preschool. I also get to hang out with my grandparents (and whatever baby is not old enough to go to school- this time it was Tess.) 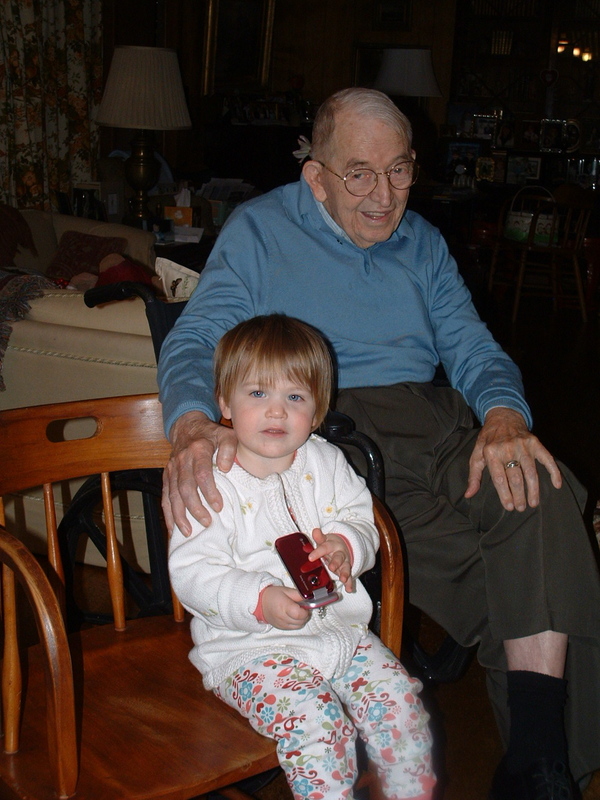 It makes me catch my breath a little to see Tess sitting with my grandfather. He was born just before World War I, lived through the Depression, and put himself through college- though he was the youngest in a large family- by alternating semesters that he worked and went to school. He taught me how to ask good questions to get to know people and, by example, how to see any conversation as an opportunity to both teach and learn. He has always been one of the most special people in my life. And my grandmother…I still can’t keep up with her. I took her to the mall and was worn out after four hours of shopping. I kept asking her if she needed to go home and rest- then finally had to throw up the white flag myself. 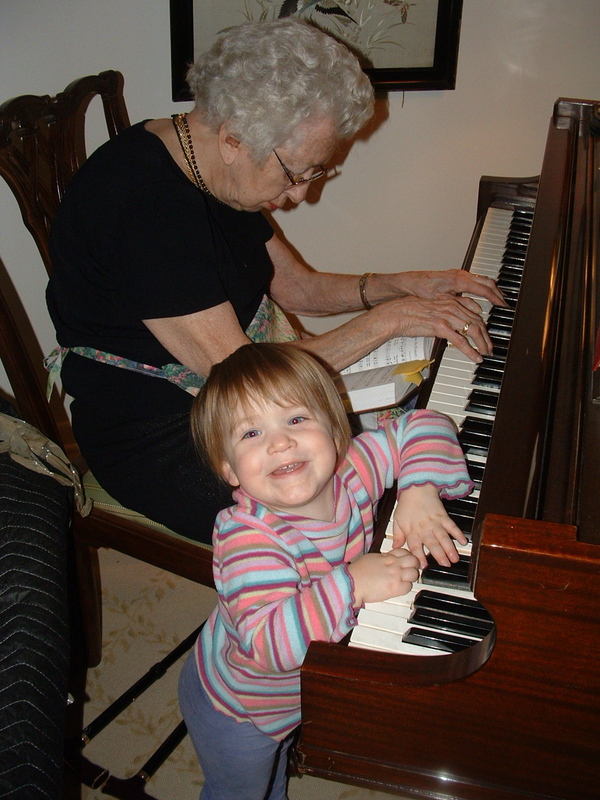 She can entertain for hours with stories of the creative ways she paid the bills while my grandfather was at the war. And if you have a question about parenting or teaching toddlers, she’s still the one you want to talk to. “For the Lord is good; his steadfast love endures forever, and his faithfulness to all generations.” (Psalm 100:5) Spending the week with four generations- and ages spread over 90 years- has reminded me to be thankful for the faithfulness of the Lord from generation to generation.